A pair of boots is an investment and knowing how to care for leather boots is the key to having them looking and feeling great for years to come. Whether you own high end dress boots or everyday work boots, the key to a good boot care routine starts with cleaning and conditioning. In this guide we are going to show you how to clean leather boots so you can start your boot care routine on the right track. This guide is for cleaning and conditioning smooth leather. For suede, nubuck and roughout please check out our Suede Boot Cleaning Guide. There are no hard rules for when to clean and condition your boots. Cleaning and conditioning leather boots should be habitual and a lot of the timing will depend on how often your wear your boots and what kind of dirt and debris it comes in contact with. Boots that are worn everyday should be cleaned sooner than boots worn less often. The main takeaway is that you want to keep dirt off your boots and keep the leather conditioned on a regular basis. You want to avoid your leather getting dry as this can lead to cracking, so it’s a good idea to get into the habit of cleaning and maintaining your leather boots throughout their lifetime. In between cleaning there are also steps you can take on a daily basis. We wrote a great Daily Boot Care Guide with tips on how you can care for your leather boots between cleanings. Here is a list of the supplies needed to properly clean and condition your leather boots. These items are a small investment in keeping your boots clean and healthy for years to come. Supplies needed to properly clean your boots include quality leather cleaning and conditioning solutions as well as a horsehair brush and clean cloth to apply the solution to the leather uppers. Cedar shoe trees help with keeping a boot's shape when applying solution. They are also recommended for the drying process as cedar helps draw out excess moisture. If this is your first time cleaning your boots than we recommend with going with a leather boot care kit that includes a leather cleaner, conditioner and extra care items to help preserve boot leather. 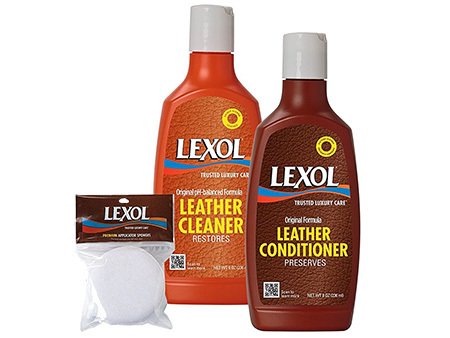 For general leather boot care, Lexol makes great leather cleaners and conditioners that are PH balanced to properly clean and preserve the leather founds in boots. Lexol is a great and affordable leather boot care kit option. For oil-tanned leather boots we recommend Red Wing's Oil-Tanned Leather care kit. And for those who own dress boots or multiple types of boots, we recommend the Leather Care Kit by Otter Wax. The kit not only includes an all natural leather cleaner and conditioner, but also includes a leather oil that is perfect for dress boots. For work and other hardwearing boots, the Otter Wax kit includes a tin of their beeswax Otter Leather Wax sealant to waterproof boots. Other than your leather cleaner and conditioner you will also need a horsehair brush, clean cloth and an optional pair of cedar shoe trees. 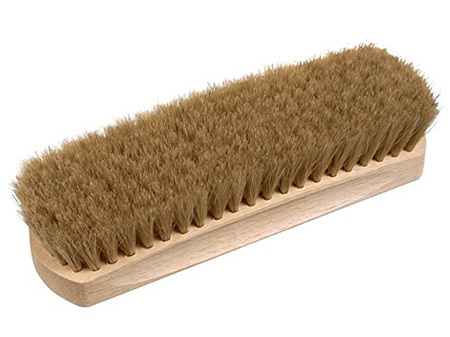 A horsehair brush is used to clean excess dirt and grim from you leather boots, especially around the welts and crevices in the laces and uppers. A soft clean cloth will be needed to apply cleaner and conditioner. You don’t need to buy special cloths to clean your boots and many people just use old t-shirts. Whichever cloth you use just make sure the cloth is clean and does not leave behind lint. If you do purchase special cloths, we recommend microfiber cleaning cloths as they are non-abrasive and will not scratch the leather. Cedar shoe trees are used to help keep your boot’s shape during the cleaning process. Shoe trees can also be essential during the drying process as cedar helps draw out excess moisture. Although not required to clean your boots they do make the process a lot easier. The first step in cleaning your boots is to brush them to prepare them for the cleaning solution. If you haven’t cleaned your boots in a while than chances are they have plenty of dust, mud and debris on them that are going to have to be wiped off. Remove the laces before you begin and use your horsehair brush to wipe off any dirt and debris on the leather uppers. Pay close attention to the area where the leather meats the outsole along the welt. You’re also going to want to pay special attention to any part of the boot where dust and dirt is likely to accumulate: around the eyelets, creases and around the stitching where leather panels meet. In addition to a horsehair brush you can also use a damp cloth to wipe down your boots or a q-tip to get into small crevices in the welt. After a good brushing it’s now time to apply a leather cleaner solution. If you purchased a leather boot cleaning kit like the ones suggested above then you can proceed with the directions on the cleaner bottle. It’s always suggested that you first apply a small bit of cleaner in an inconspicuous area to preview the results before applying the solution on the entire boot. For those wondering what kind of leather cleaner you should use there are a few different options. 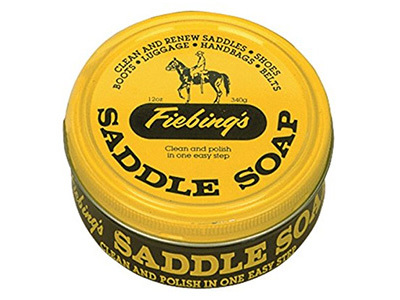 Saddle soap is a great leather cleaner for those with hardwearing boots that tend to dry out from sun, salt or water exposure. For those of you who own finer leather dress boots that have been previously shined or polished we recommend using a cleaner like Saphir Reno’Mat that is especially made for removing accumulated build-up from polishes and waxes. Once you are done cleaning your boots it’s now time to condition them. Cleaning your boots can strip the natural oils and moisture from leather so it’s important not to skip the conditioning step if you have used a strong leather cleaner solution. If you are unsure of what kind of leather conditioner is best for your specific leather boots than please check out our guide on leather boot conditioners. It's well worth the read. Allowing for your boots to dry after cleaning and conditioning them is a crucial step in ensuring healthy boots that will last longer. At a minimum you want to allow a full day for your boots to dry in a cool and dry environment. Giving freshly cleaned boots enough time to completely dry is a simple step that people often skip over. Cedar shoe trees will help with the drying process as well as give your boots the chance to reshape. Once your boots are completely dry you will have a fresh pair of boots that look and feel great. Tough scuffs and stains will sometimes require you to give your leather boots some extra attention. Here are some things you can do to remove scuffs, salt marks and oil stains. Scuffs and artificial scratches can be an eye-sore. Thankfully a good boot oil or leather conditioner will help fill in minor scuffs and scratches. For dress boots you can also use a layer of polish to cover up the scuff. Follow the instructions recommended by the polish manufacturer for best results. Unfortunately with repeated exposure to salt you may find it very difficult to remove the stains if they are not cleaned promptly. To prevent permanent salt stains make sure to get in the habit of brushing salt off of your boots immediately after wear. Getting oil stains out of your leather boots can be done with cornstarch and a little patience. This is an easy enough process that even works on removing oil stains from finer leather such as calfskin. Oil stains can be tricky and the key to getting rid of them is to address the stain as soon as possible. The more the oil sits on your leather, the more stubborn the stain will be when it’s time to remove it. A quick lesson on leather oil for boots. We cover everything from when you should use boot oil to the best oil for leather boots. Looking for replacement Bean boot laces? Here are our top picks and ideas for replacing your LL Bean boot shoelaces. Boots too tight around the calf? Stretching them is easy with this simple guide. The essential cleaning guide for suede, nubuck and roughout boots. Learn when and how to clean you suede boots at home. A guide on how to clean and condition boots at home. 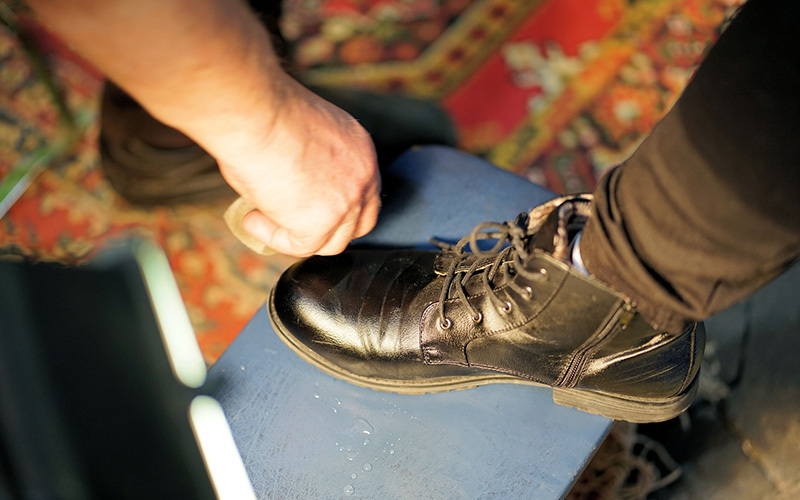 Learn these basic steps to jumpstart your boot care routine. 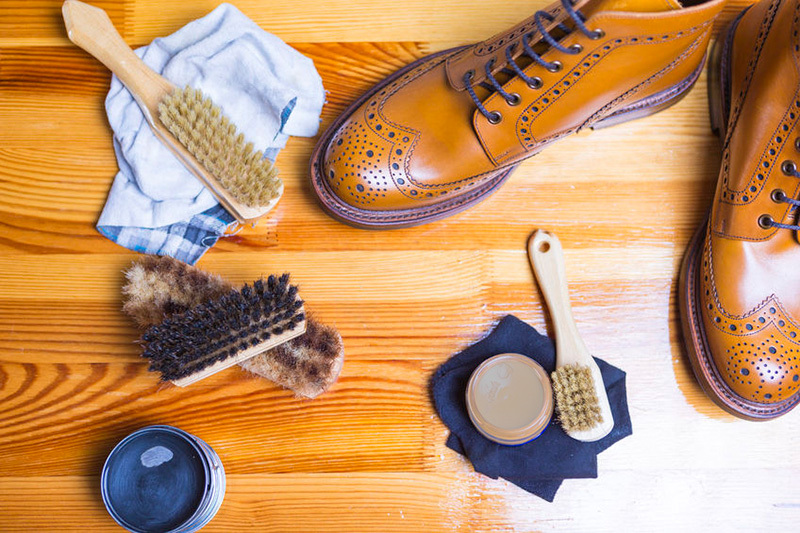 Boot Care: Saddle Soap vs Mink Oil - What's the difference? A short guide comparing saddle soap vs mink oil. When it comes to cleaning and conditioning leather each product is unqiue. Let's explore the difference. 5 leather boot maintenance tips to keep your boots lasting longer. These daily habits will help keep your boots clean, protect the leather and help boots keep their shape over time. What is the best leather conditioner for boots? 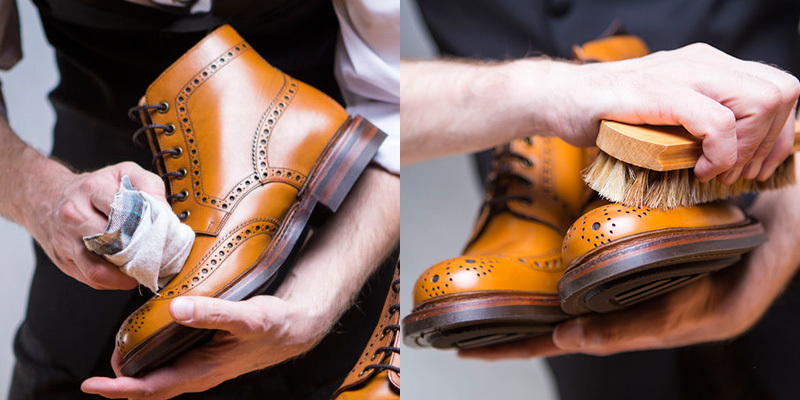 In this leather care guide we explore all you need to know about properly conditioning your leather boots. Older PostBoot Care: Saddle Soap vs Mink Oil - What's the difference? 11 best men's duck boot brands to buy right now. We explore stylish bean boot alternatives for the rain and snow. Our top picks for the best summer boots for men. Lower profiles, breathable materials and lighter colors make it on this list of mens summer boots for 2018. We have compiled a list of our favorite less expensive Red Wing Heritage alternatives. Find cheaper boots similar to the popular Iron Ranger, Beckman and Moc Toe styles. Like an article? Share it with others! Sign up with your email address to stay up to date on the best new trends, news and exclusive offers. No spam. No BS. We respect your privacy. SUCCESS, YOU'VE BEEN SIGNED UP.